3) a testing facility for explosives and explosive related products (i.e. perforating charges) and a test cabin for shape charges. 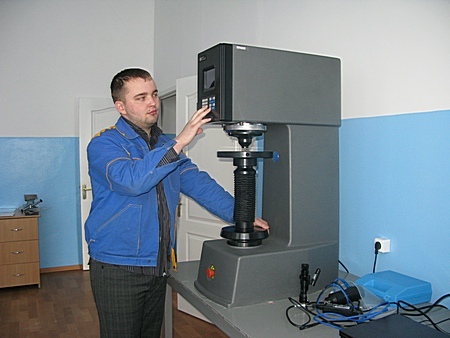 The Test Center uses non-destructive testing (NDT) equipment such as: an optical emission spectrometer Q4 TASMAN 170, hardness tester by INSTRON: Brinell 3000VLD with software and Rockwell model 574, electro-mechanical tensile machine INSTRON Model 5984 (150 kN), dimensional scanning laser vibrometer PSV -400-3D, X-ray machine "Arina-2." - Vibration measurement and analysis. 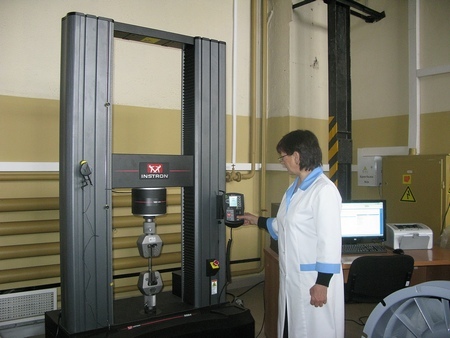 - Metal toughness testing (Charpy). Based on the results of the laboratory tests, the laboratory issues reports and statements in order to confirm compliance of the equipment to the safety requirements. The laboratory conducts custom research and testing encompassing receiving and acceptance inspection of industrial equipment. 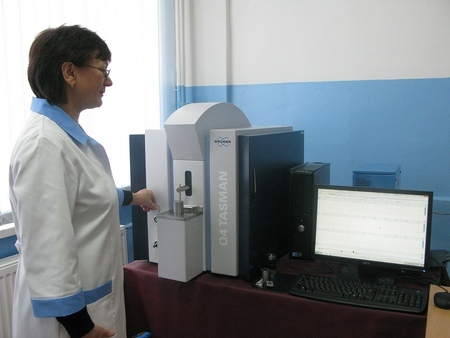 To enter the international market is currently testing center is equipped with instruments for metallography, sample preparation, portable devices for determining the strength characteristics of the metal, etc. To enter the international market, the laboratory has instruments for metallography, test specimen preparation, portable equipment for determining metal strength characteristics, etc. We are harmonizing our internal test methods with internationally recognized standards by API and ASTM. 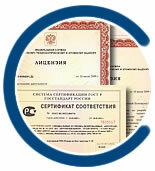 Our experts were certified to international qualifications based on the EN 473 and ISO 9712 standards.